Yes, that was once an owl. 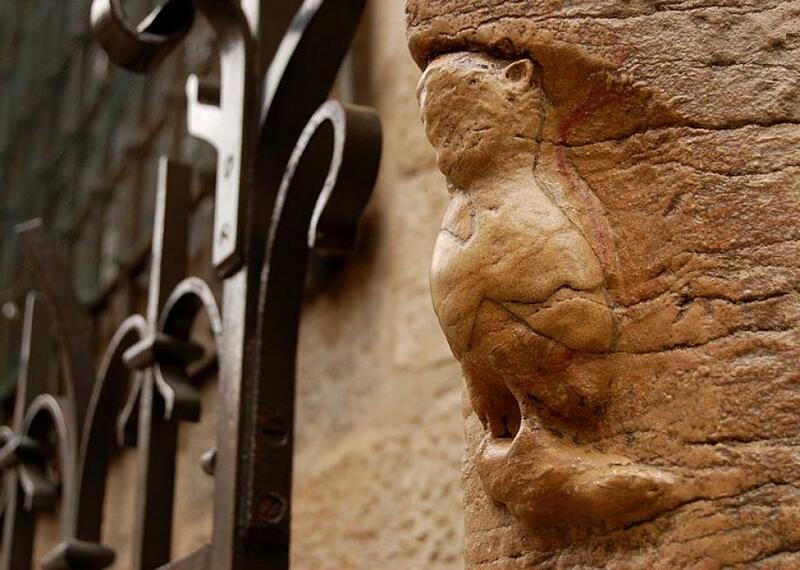 There is a small stone owl carved into a corner of the oldest church in Dijon, France. His face has seen better days, and he’s less than a foot tall, but for over three centuries he’s had a big job: granting wishes to all who reach up and stroke his little face. This is the Owl of Notre Dame de Dijon, the city’s symbol and unofficial talisman. The carving sits about 6 feet off the ground on an otherwise unremarkable corner of the church, and as the tradition goes, if you touch him with your left hand and make a wish, your wish will come true. Dijon is no out-of-the-way place, and the church is dead center, so you can imagine how many left hands have touched the carving over the course of more than three hundred years. His face, probably once well-defined, now looks more like a melted wax candle of an owl. The pint-sized bird has come to symbolize Dijon, capital of the region of Burgundy (as in wine country—it’s not all mustard here). Owls represent everything from the local football team to official tourism destinations, marked with brass plaques of cartoon owls that form a trail of sites around the city. The history of the owl as a symbol of wisdom goes back to Athena, the ancient Greek goddess of wisdom who was represented as one in her animal form. Right up through the old Tootsie Pop commercials, the bird has been associated with stolid and steady smarts. In Dijon, they’ve added a touch of magic.